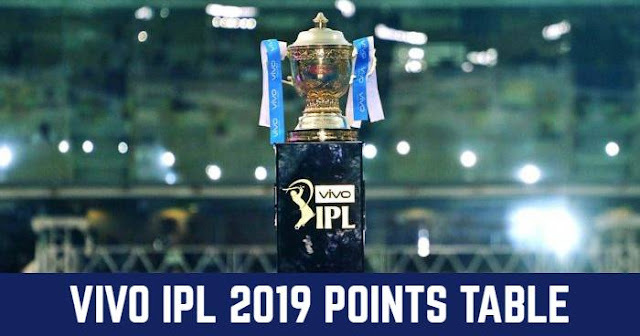 Home / IPL / IPL 12 / IPL 2019 / Match Prediction / MI / Mumbai / Mumbai Indians / Rajasthan Royals / RR / Wankhede Stadium / VIVO IPL 2019 Match 27 MI vs RR Match Prediction, Probable Playing XI: Who Will Win? The Mumbai Indians seem to prefer batting first; they’ve won seven of the last 9 matches in which they’ve batted first. Being a day match, the toss-winning captain would like to bat first. Considering all the IPL matches played since 2017, the average first innings total at the Wankhede Stadium is 174. Looking at the pitch 175 will be par score here. Our Prediction for IPL 2019 Match 27 MI vs RR Who Will Win? Mumbai Indians seems in great momentum, winning last three consecutive matches. On the other hand, Rajasthan Royals are struggling to with 5 losses in 6 matches. The Rajasthan Royals have the poorest economy rate in the middle nine overs and the five death overs; their economy rate in the middle nine overs is 8.89, and their economy rate in the final five overs is 11.50.. 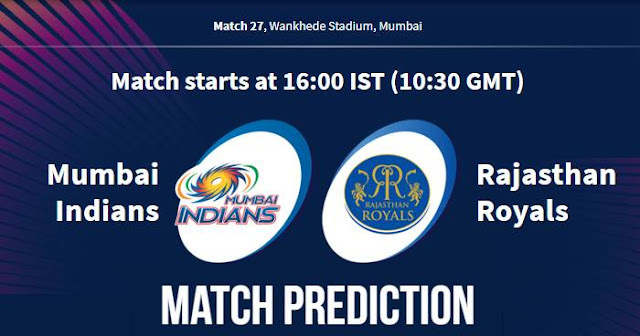 In our prediction, Mumbai Indians are likely to win this match.